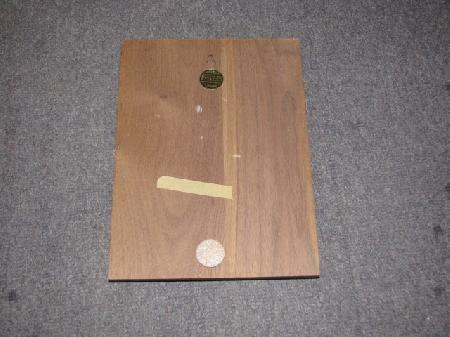 Approximately 10 inches by 7 1/2 inches. 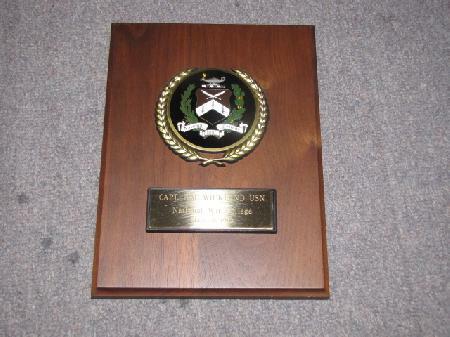 Presented to US Navy Captain Robert M. Wicklund. 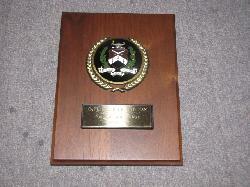 Wooden base with plastic crest.